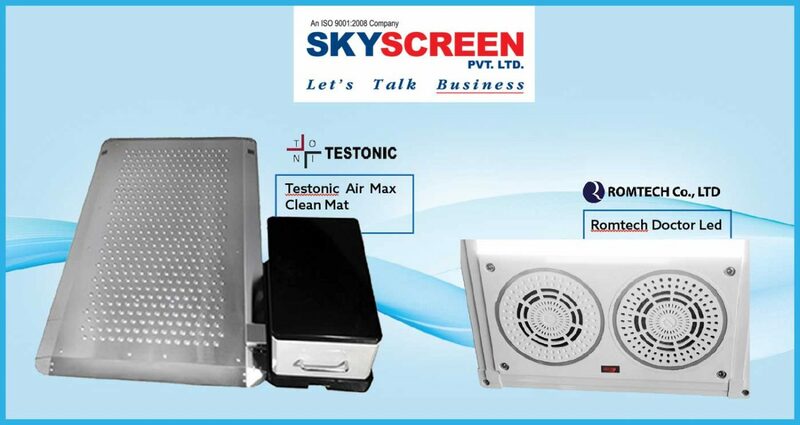 Skyscreen Pvt Ltd, Mumbai, has recently added 3rd Dimension to its business portfolio by entering into Hygiene & Healthcare sector products. It has introduced Testonic Air Max Clean Mat and Romtech Doctor LED for cleanroom environment. Both the products are from S. Korea. According to Testonic and Romtech officials, pollutants in indoor environments are a grave threat. It is believed that a few milligrams of airborne pollutants are enough to cause severe health issues. It is said that hundreds of kilos of fine dust, particulate matter and microscopic germs are carried into our home, workspaces (including printing factories) and public places clinging to our shoes on a daily basis. Research shows that 80% of all harmful fine dust and particulate matter that are found indoors are carried in on shoes. People use a variety of mats as a means of controlling this. However, most mats don’t take care of fine dust where most of the harmful particulate matter and germs hide. Moreover, the mats themselves become contaminated over a period of time and breed disease causing organisms.